It's taken time, but owning a 4K HDR TV and the hardware to use it with makes a lot of sense now. 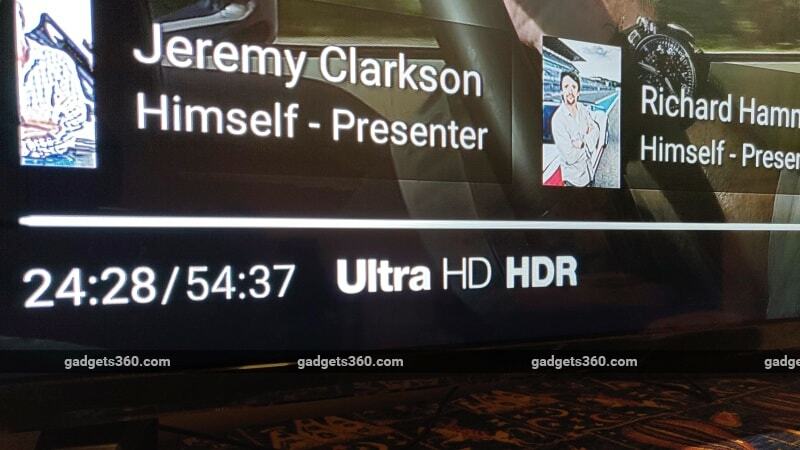 There is plenty of ultra-HD and HDR content now available, and owning the right TV is the first step towards a better home viewing experience. Once you have the TV though, there is a bit more to do. If you have a smart TV, chances are you already have access to the content you want. But what if you don't like the smarts in your smart TV, or your TV isn't smart at all? The easiest way to access high-resolution, high-quality content is through a streaming device, such as the Amazon Fire TV Stick 4K that we are reviewing here. Priced at Rs. 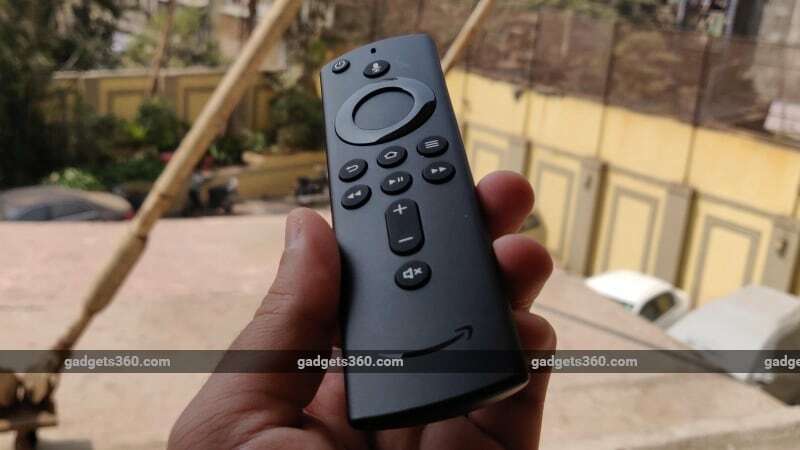 5,999, the Fire TV Stick 4K is the newest in Amazon's Fire TV range of products, and the more expensive of the two Fire TV products you can currently buy in India. As the name suggests, this device brings 4K streaming to your TV, but there's a lot more to it as well, which we'll talk about in our review. The Amazon Fire TV Stick 4K isn't large, and is rather plain to look at. This is the point of this device; it's meant to be plugged in at the back of your TV and will be out of sight for most of its working life. 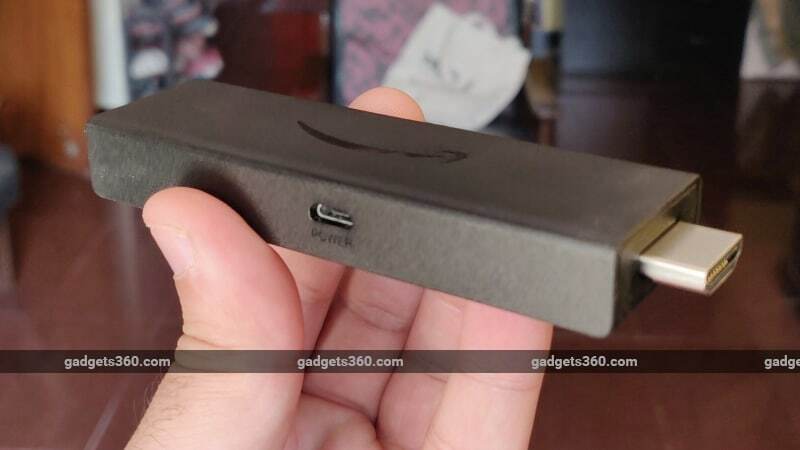 The device is plain, black, and somewhat chunky, with an Amazon logo at the top, the HDMI port at the front, and a Micro-USB port for power on the side. Its size might mean that it doesn't easily plug in to some HDMI ports on some TVs, but Amazon has usefully included an HDMI extender in the sales package to overcome this issue. Also in the box are a USB Type-A to Micro-USB cable, a wall adapter for power, and the Alexa voice remote to control the Fire TV Stick 4K with. You don't need to use the wall adapter if your TV has a USB port that can provide enough power to the Fire TV Stick 4K. The device has 8GB of internal storage for apps, a quad-core 1.7GHz CPU, and Bluetooth 5. In comparison, the regular Fire TV Stick does not support 4K resolution, HDR and Dolby Atmos, uses Bluetooth 4.1 and has a slightly lower-clocked 1.3GHz CPU. However, the interface and apps are the same on the more affordable device, with the Fire TV Stick 4K only giving you the advantage of streaming 4K and HDR content. Bluetooth is used to connect to the remote (since there may not be a line-of-sight between the remote and Fire TV Stick 4K) and also to connect wireless speakers to the streaming device. The device supports video streaming at up to 4K resolution (3840x2160 pixels), as well as popular HDR formats including Dolby Vision, HDR10, HLG, and HDR10+. The Alexa voice remote is sold on its own for Rs. 1,999, but the Amazon Fire TV Stick 4K includes this in the box. The styling of the remote matches that of the Fire TV Stick 4K itself, with the same colour and texture. It's compact, sleek, and well built, with buttons that feel good to press. It's powered by two standard AAA batteries (also included in the sales package). The remote has a handful of buttons for playback, navigation, volume, and power, along with a voice button and a microphone at the top for voice commands. The remote also has an IR emitter to communicate with your TV if compatible. It paired easily with the Philips 55PUT6103 TV we used for this review and could control power and volume on the TV along with navigation and playback on the Amazon Fire TV Stick 4K. It would also switch to the HDMI port used by the Fire TV Stick 4K on the TV when used to control power. This is a particularly useful feature, since it does away with the need to use two remotes when using the Fire TV Stick 4K as the content source with your TV. Voice commands work through Alexa on the Fire TV Stick. You can speak directly into the remote, making navigation and discovery of content a bit easier if you know what you're looking for. If you're using it to access content from Amazon services such as Prime Video or Prime Music, a voice command can take you straight to the video or track. The device uses your viewing history to figure out what episode you need to be on if you're trying to watch a TV series. You can also search within specific fields with commands such as ‘Show me 4K movies' or ‘Find comedies', but the best results can be seen only with Amazon content. What we liked the most was the ability to play audio tracks directly through the Amazon Fire TV Stick 4K, using Amazon Prime Music. If you're trying to use Alexa with most other apps, the experience isn't quite as nice. Searching within Netflix or other streaming services wasn't possible, and our voice commands often only loaded the app up at best. At other times, it would prompt us to download the app, or show similar or recommended search results from Amazon Prime Video. In general, we found it easier to navigate and fetch content using the directional buttons, but voice commands serve as a good method of searching for specific content or music, and is better than typing out your search queries if you're looking for something that an Amazon streaming service can provide. 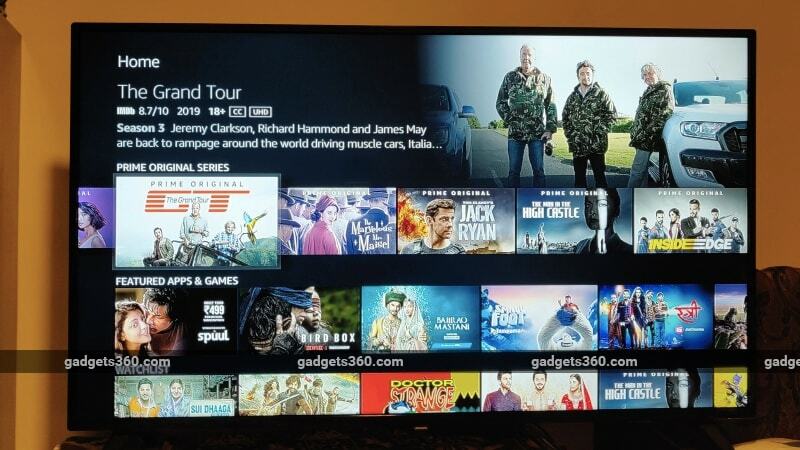 As is usually the case,, the Amazon Fire TV Stick 4K has a tiled interface that shows various TV shows and movies as posters, allowing you to hover over each tile for more details. Horizontal lists sort the tiles by category, and these include not only content but also apps and services. You'll see recommendations and existing apps, as well as other apps that you might not have installed. However, the Fire TV Stick 4K does promote Amazon content over everything else. The interface looks superb, and is divided into Home, Movies, TV shows, Apps, and Settings, but it's easier to seek specific content through the search functionality. Furthermore, content is marked with with UHD and CC badges for all titles that can be streamed in 4K or have subtitles available, respectively. It's worth pointing out that most of the 4K titles are Amazon original series, but there are plenty of popular movies available at ultra-HD resolution on Amazon Prime Video as well. Other typical features seen on Amazon Prime Video such as X-Ray and the ability to quickly scrub through video are present as well. Perhaps the only issue with the interface is the recommendations, which come across as too ‘random' and not really intuitive or learning from your viewing habits. We've been using Amazon Prime Video for a while now and there's plenty of viewing history for the system to work with, but the recommendations for us still included a lot of regional content in languages we don't even understand. For users who are looking beyond Amazon Prime Video and Prime Music content, there are lots of options. There are dedicated apps for streaming services such as Netflix, Hotstar, Zee5, Jio Cinema, Hungama Play, Sony Liv, Gaana, and Voot, to name a few. Additionally, apps such as Firefox, Silk browser, NDTV, BBC, and The Washington Post also give you extra functionality for browsing Web pages, fetching short topic-based videos, or in some cases, streaming live feeds of regular TV channels. 4K content is only available through Amazon Prime Video and Netflix (assuming your Netflix plan supports 4K) for now. There is no proper YouTube app; the one that can be found serves as a Web browser to fetch YouTube videos that are optimised for TV viewing. It's a functional workaround, but there is a definite difference in usability between what we got here and a proper app as found on the Android TV or Samsung smart TV platforms. It also limits resolution to full-HD with standard dynamic range, so you can't watch 4K and 4K HDR videos at full resolution on the Amazon Fire TV Stick 4K. The Settings menu gives you a fair amount of control over the Amazon Fire TV Stick 4K, including setting up the Wi-Fi network and saved connections, data controls, streaming resolution, parental controls, privacy settings, and controlling paired Bluetooth devices. It's best to leave the streaming resolution on ‘Auto' since this allows the Fire TV Stick 4K to set the resolution according to your Internet connection speed, allowing for smooth streaming rather than the possibility of constant buffering interruptions. The viewing experience and picture quality depend heavily on the TV you use, but for its part, the Amazon Fire TV Stick 4K pulls its weight. Assuming you have a fast Internet connection — above 15Mpbs for 4K and over 8Mbps for 1080p — you'll get a clean feed from the Fire TV Stick 4K that results in a sharp, clean, and enjoyable picture. We used the Amazon Fire TV Stick with the Philips 55PUT6103 TV, which has a 4K screen and supports HDR content. Amazon's original 4K content is excellent in terms of quality, and the Fire TV Stick 4K relayed it capably enough onto our TV. 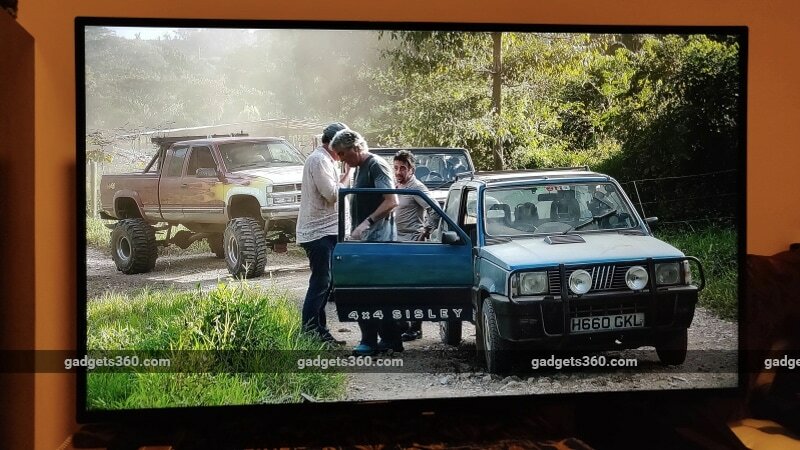 We watched The Grand Tour and The Marvelous Mrs. Maisel at 4K HDR, as well as numerous other shows and videos on Netflix, Amazon Prime Video, Hotstar, and Youtube at HD or Full-HD resolutions. Regardless of what we used, the hardware performed well with no serious issues. 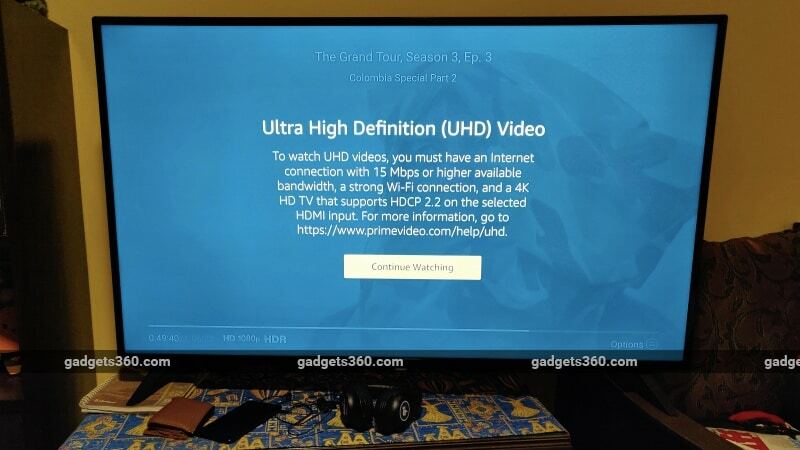 When watching Ultra-HD content, the device will only stream at the highest resolution if the Internet connection is faster than 15Mbps. If your speed drops, the Fire TV Stick 4K will automatically switch to a lower resolution to ensure a buffer-free stream, which significantly enhanced the viewing experience thanks to the lack of interruptions caused by buffering. While we could tell the difference in picture quality when it dropped from 4K to 1080p or 720p, the picture remained largely consistent and good even at lower resolutions. However, at times when we were facing Internet trouble and the stream dropped to below HD, picture quality was unacceptable. At these times, we'd have to wait till the connection picked up, since it became difficult to keep watching a grainy low-resolution stream. However, with a good big-screen TV and a fast Internet connection, you won't be disappointed with the performance of the Amazon Fire TV Stick 4K. HDR will automatically trigger when available and when the Fire TV Stick 4K is being used with a compatible TV. It is also available works independently of 4K. You could therefore be watching HDR content even at 720p or 1080p resolutions, but the quality of the HDR picture was most noticeable to us when we were watching at the Ultra-HD resolution. A big advantage that the Amazon Fire TV Stick 4K has over the Google Chromecast is that it functions independently, rather than as a bridge between your smartphone and TV. The Fire TV Stick 4K is easy to set up and handle because of its remote, and can also work with an Amazon Echo speaker, if you have one at home. The Amazon Fire TV Stick 4K is, in our opinion, the best streaming device available today, all things considered. While some might argue that the Apple TV and Apple TV 4K are better than their Amazon counterparts, these devices also cost a lot more. For its asking price of Rs. 5,999, the Amazon Fire TV Stick 4K is absolutely worthwhile. Some of the Fire TV Stick 4K's features may come across as gimmicky and the focus on Amazon Prime Video and its spotty recommendations are somewhat irritating, but these things are easily worked around. With that said, the lack of a proper YouTube app makes this device unsuitable for anyone that relies on YouTube as a primary source of content. However, what you do get is an easy-to-use interface with lots of well-designed apps, a good remote, decent performance, and the hardware capabilities to give you access to 4K and HDR video content. 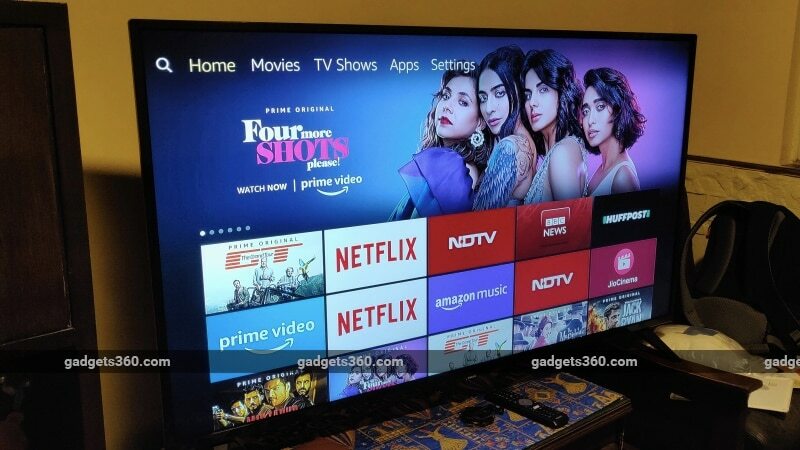 If you don't have a 4K TV, it might make sense to opt for the regular Amazon Fire TV Stick, or perhaps even the Google Chromecast 3.
product Amazon Fire TV Stick 4K with 4K and HDR support just needs a top-spec TV to open you up to a wide variety of quality content. Read our review for more.